Find a vacation home to rent in Castel del Piano from our list of vacation rental properties. Campaya has over 8 vacation homes available in Castel del Piano, which give you the possibility to locate a unique accommodation in Castel del Piano which completes your check-list in search for the perfect self catering vacation apartments in Castel del Piano or vacation villas in Castel del Piano. Cosy cottage in a great hillside location. This house consists of two units interconnected by an external stairs and surrounded by covered terraces with barbecue corner. Part of a two-family-house, once an ancient farmhouse, at 2,5 km from Castel del Piano. 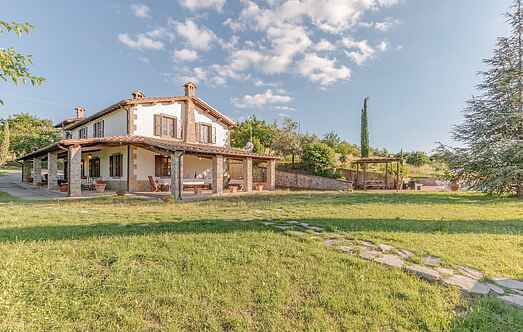 This property is part of a well-kept two-family stone house, set near the small hamlet of Montenero d'Orcia, and is set in a hilly position on the slopes of Mount Amiata. This independent house with private swimming pool is only 7 km from Castel Del Piano, on the slopes of Amiata Mountain, famous for the unspoilt nature and the wine and food specialties. Typical stone house in a romantic hilly location, consisting of two separate residential units (not internally connected). Large covered terrace, pool and barbecue.